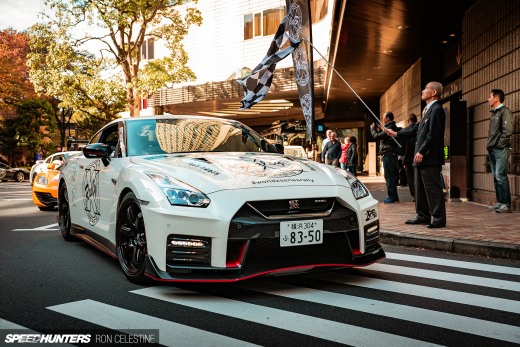 This R35 has undergone minimal modifications but has maximum presence. The car looks almost stock, but those small touches like the Hasemi carbon frontlip and and sideskirt (can I call it that?) make it stand out. good. The drop has been achieved with a Esprit Quantum coil over set. although he did use spacers to push the wheels out a bit more. …here you can also see the Hasemi carbon diffuser . 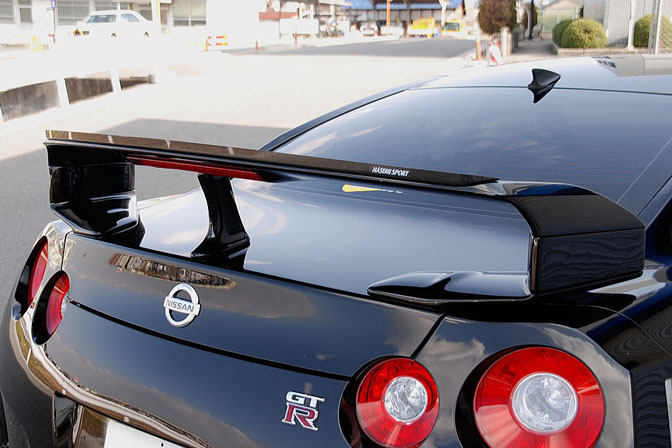 The wingstays have been heightened and a Hasemi piece has been added for some extra downforce at high speeds. Several major powerhouses have been busy developing parts for this car but HKS has been on the forefront regarding engine parts. So it's no wonder that the owner opted for their GT600 package. The blowoff valves are Greddy items, I'm sure this car sounds great when downshifting. 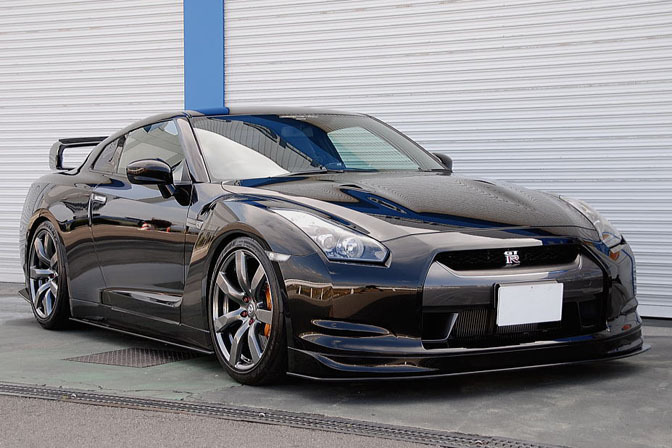 For me this would be the ultimate daily driver, luckily for me I have a date with another R35 next weekend, possibly the most modified version in Europe. Can't wait! Love the small touch up parts, like the front lip, side trims and rear. Just tops it off well... As for the spoiler... From certain angles it looks ok, like the first and last pic. It just sits a bit too high for my liking, so the OEM spoiler is a winner for me. I really like the ligh touch ups in the engine and the only give away is the exhaust. Nice lowed height = Gives an aggressive stance. 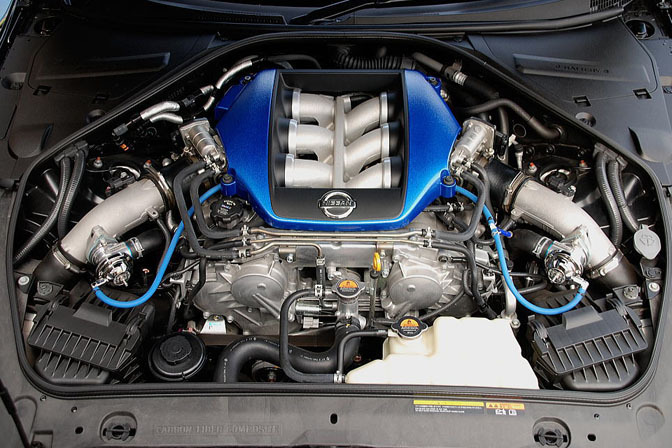 This is how an r35 SHOULD look. Absolutely stunning. One doesn't need a huge list of parts to build a gorgeous car; this proves that sometimes just a few small changes are all that are needed. its a awesome creation.. some nice subtle touches.. its sitting perfect too, mean and moody..
Wow, someone finally made this car look cool. 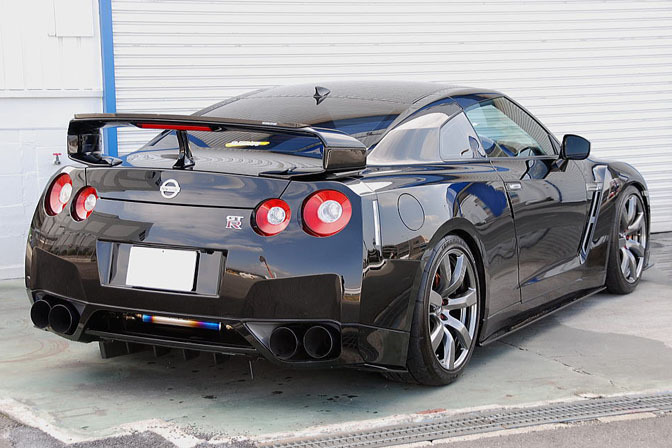 Definitely one of the sexiest R35s I have seen... I love everything about it. 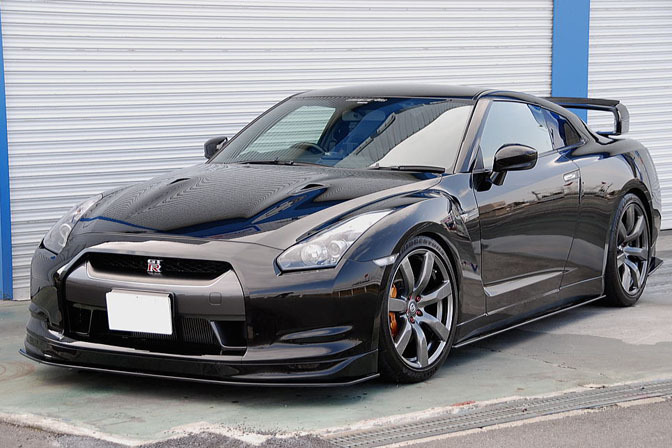 The height and overall stance are perfect in my opinion, for a GTR. Can we get the final picture as a desktop please!!! !